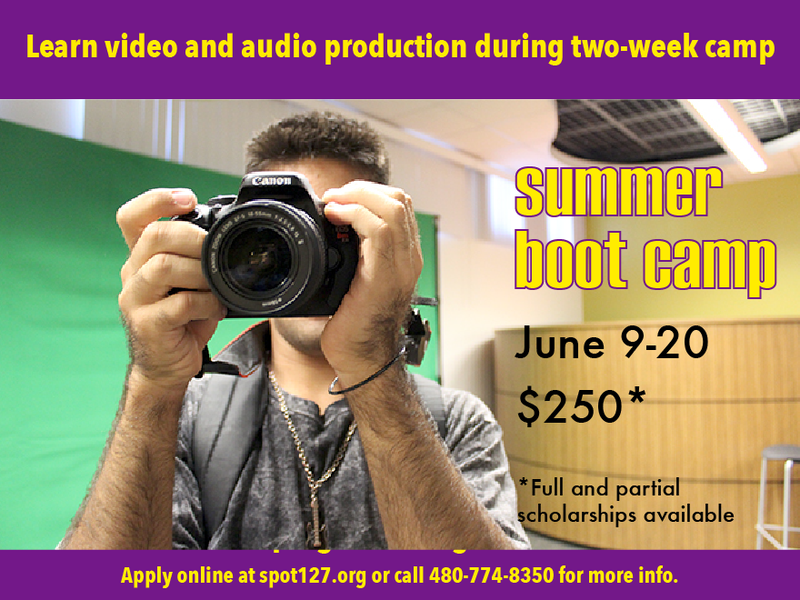 KJZZ’s youth media center SPOT 127 is hosting a two-week boot camp for high school teens at the Rio Salado Conference Center in Tempe, June 9-20. Participants will learn about the fundamentals of reporting, writing and multimedia production. SPOT 127 staff, KJZZ journalists and media professionals from across the Valley will take part in the program to share their knowledge with participants. No prior experience is needed. Cost is $250 per student and there are partial and full scholarships available. KJZZ and SPOT 127 are a community service of Rio Salado.